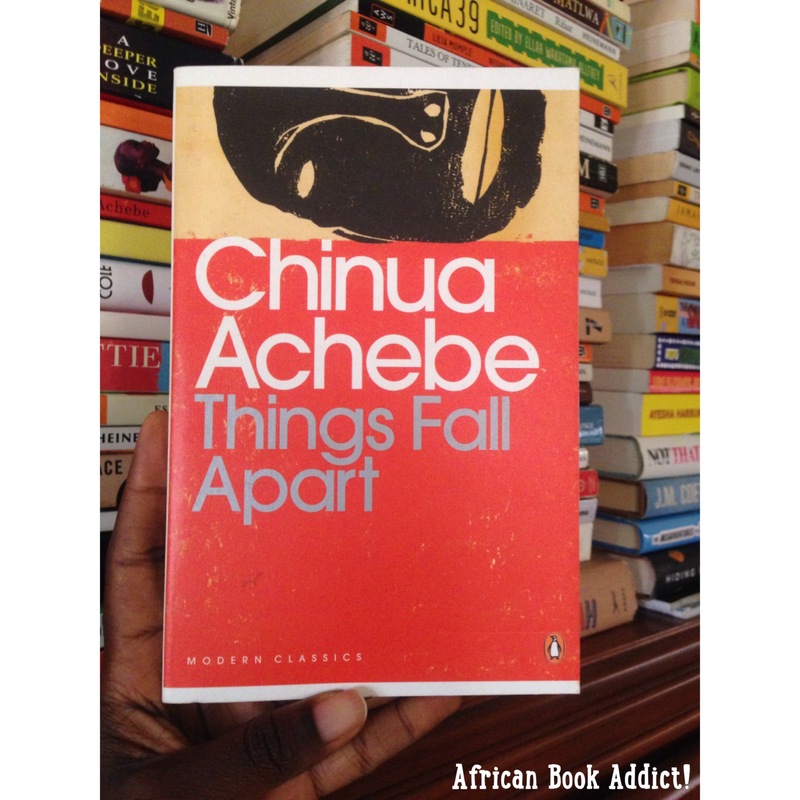 Chinua Achebe – African Book Addict! The eminent African novelist and critic, here addresses Nigeria’s problems, aiming to challenge the resignation of Nigerians and inspire them to reject old habits which inhibit Nigeria from becoming a modern and attractive country. In this famous book now reprinted, he professes that the only trouble with Nigeria is the failure of leadership, because with good leaders Nigeria could resolve its inherent problems such as tribalism; lack of patriotism; social injustice and the cult of mediocrity; indiscipline; and corruption. The title, The Trouble with Nigeria should actually be called ‘The Trouble with Africa’. 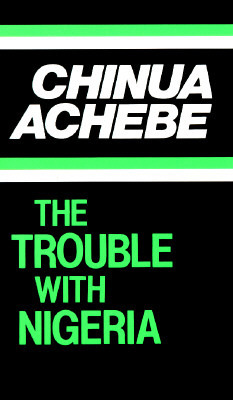 In this short book, Achebe questions the motives of the leaders and citizens of Nigeria. 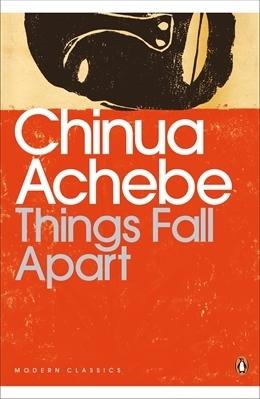 Achebe systematically breaks this book into ten chapters, where he discusses the various problems Nigeria was facing in 1983. Some of these chapters are entitled: Tribalism, Indiscipline, Corruption, False Image of Ourselves, Social Injustice and the Cult of Mediocrity, amongst others. This book is simply brilliant. It is short and straight to the point! Everyone should read this, especially African politicians and people in positions of power. But do African politicians read? 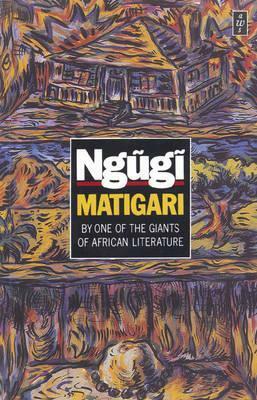 A myriad of books in the African Literature genre mirror the happenings of society. Authors use their amazing talent and writing abilities to articulate the faults of our leaders and societies through their stories/fictitious characters. Do the leaders of our societies read these books to hear how the layman feels about the conditions of their nations? Do they care? Even though this book was written in 1983, most of the issues Achebe discusses hold true to Ghana, and other African countries as well- even in present day 2015. Corruption, indiscipline, tribalism, lack of patriotism, illiteracy and greed are killing administrations in several African nations. We honestly need to do better as a people and this book explains why with boldness, style and sharp wit. I loved this! Thank you Chinua Achebe. “Look at our collapsing public utilities, our inefficient and wasteful parastatals and state-owned companies… If you want electricity, you buy your own generator; if you want water, you sink your own bore-hole; if you want to travel, you set up your own airline. One day soon, said a friend of mine, you will have to build your own post office to send your letters!” pg. 20 (Yes, this holds true to Ghana as well, especially issues of electricity *sigh*). “I must now touch, however briefly, on the grace undermining of national discipline which the siren mentality of Nigerian leaders fosters. In all civilized countries the siren is used in grave emergencies by fire engines, ambulances and the police in actual pursuit of crime. Nigeria, with its remarkable genius of travesty, has found a way to turn yet another useful invention by serious-minded people elsewhere into a childish and cacophonous instrument for the celebration of status.” pg. 34 (Sadly, this is a daily occurrence in Ghana as well. Especially during rush hour). Full of characteristic energy and authenticity, the stories in this classic collection capture the remarkable talent of one of the world’s most acclaimed writers and storytellers. This is a decent collection of stories by Achebe. ‘The Madman‘ – a tale of a once prominent man in a village who is humiliated by a vengeful madman. What a shameful but hilarious story! ‘Marriage is a Private Affair‘ – a story of a loving couple who are trying to convince their relatives of their forbidden love, as they are from different ethnic groups. I liked how Achebe wrote on the challenges of intermarriages between people of different ethnic groups especially as it is a problem we still face in Africa today. ‘Girls at War‘ – a tragic love story during the civil war in Nigeria. 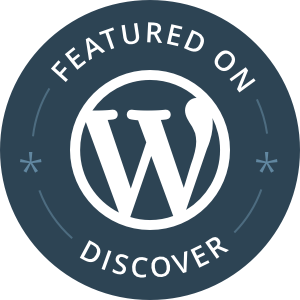 The story is centered on the short-lived romance between a militia girl and the Minister of Justice, living on the edge during the dangerous times of the civil war. I don’t think I enjoyed reading this collection of short stories. Achebe’s writing style and storytelling manner were phenomenal as usual, but I wasn’t really interested in the subject matter of most of the stories. To be honest, I purchased the book because I loved the book cover design! And I must say, I still like the book cover design more than the stories, hahaa! 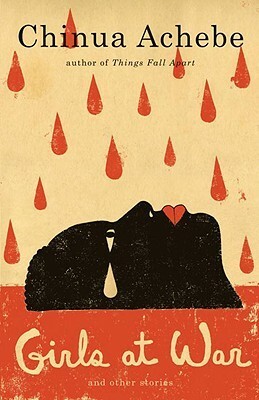 But I do recommend this book- especially to the die-hard Chinua Achebe fans…this would be a fast read for you.